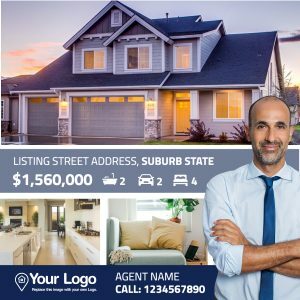 Are you looking for some real estate facebook post examples you can use? Posting on social media is a great way to stay in touch with your clients, past, present, and future. Plus, it pretty much acts as a free advertisement. Social media marketing experts suggest that you should post a few times a week, but it can be difficult to generate ideas and churn out professional yet relatable content so often. So, what should you post on Facebook? 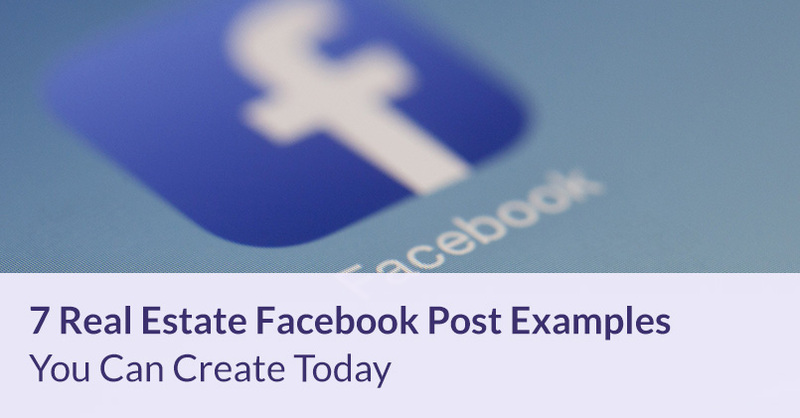 Here are some great real estate facebook post example posts you can put together today to engage your audience and help your real estate business grow. You can use a Facebook post to get the word out there about your newest listings. 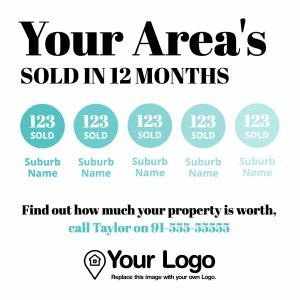 Create a custom graphic that showcases great photos of the home, the address, the list price, and other pertinent details. When executed well, these posts are very shareable. Say one of your followers comes across a beautiful, engaging graphic about your newest listing. They know someone who has been looking or maybe they are just dying for a friend or relative to move closer to them and they believe the photos of a very nice house for sale in their area might act as encouragement. They share the picture and tag their friend, gaining exposure for the property and more chances at a potential sale for you. Everyone appreciates a nice holiday greeting, regardless of the season. When people are off work as they so often are for holidays, they’re more likely to be surfing social media sites. That’s why it’s the perfect time for you to engage your audience and make your name a bit of an earwig. While the exposure is nice, posts that leave clients feeling a little gooey and show that you care about them on a personal level are ideal. Here’s why. 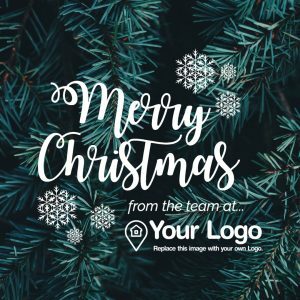 There are several Jigglar templates that will allow you to create eye-catching holiday graphics to share with your clients on Facebook, from simple greetings to holiday-themed call-to-actions. A post that’s full of information should be laid out in a way that it catches attention and is easy to digest; otherwise, readers will likely scroll right past it. You can put together informational posts that capture your follower’s eye so that they can benefit from the industry knowledge you have to offer. In the Jigglar app, you’ll find several templates for final walk-throughs. While that’s absolutely one information post your clients would undoubtedly benefit from, you can use those same templates to put together other checklists too. 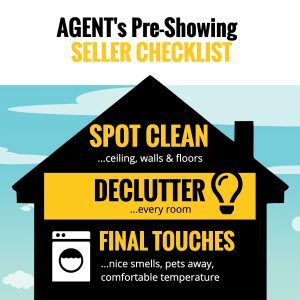 For example, you could turn this pre-showing checklist into a graphic that will help your sellers stay on top of all those little to-do’s that need to be done before potential buyers view their home. Hot Tip: Multi-image posts get great engagement due to the swipe factor. The above example can be used as a multi-image facebook post example. 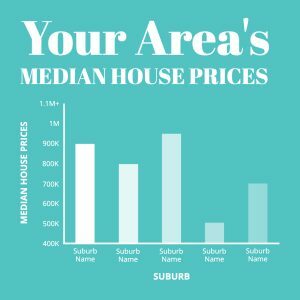 It’s a great idea to post a graphic that shows the average price of homes in various areas where you work. It can help your clients narrow down their search area or maybe even open their eyes to a neighborhood they hadn’t considered before. 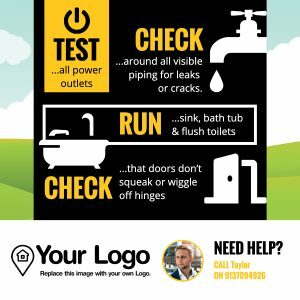 Creating an infographic that’s perfectly sized to share on Facebook is so easy on Jigglar. You just input the data and the artwork is done for you! Another great multi-image example, though you can also use these images in separate Facebook posts. If you’re looking for new clients, a great way to show them how good you are at what you do is to post your sales statistics. 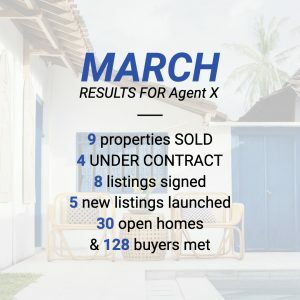 Create a graphic to let your clientele know how many homes you sold, how many listings you got, your fastest sale and your volume sold each month or at the end of the year. While taking part in charitable activities is a reward all its own, it certainly doesn’t hurt your image at all, either. Let your clients know what charities and local events you like to take part it. Use pictures that show you having fun and giving back to your community. It’s always good to let your followers (a.k.a. potential clients) see that you’re a human being who cares about the people in your area and those less fortunate in general. It is also a great way to drum up support for your favorite charities. If you don’t have an event coming up in the near future, you can share a reminiscence of an event your agency participated in within the last year or so. Try to make sure that you don’t frequently push this type of post for events from long ago, especially if you haven’t helped that charity out lately. It can seem disingenuous to your audience. Not strictly an actual post example, we thought we’d reserve this last tip for this because it can really pour gasoline on your social marketing and get you a great ROI on your time. While sharing to your business’s Facebook page a few times a week is a great idea, when you’ve got professional posts that will help market your business, why stop there? You also can share to community pages and swap and shop pages that allow businesses to post. You’ll find that things like listing alerts will go over well with those audiences. When you market a home in the area, you’re not only helping your business. You’re also helping their neighbor sell their home and that can garner a lot of goodwill so long as you don’t abuse the pages by spamming them constantly. We hope you have found these real estate facebook post examples and ideas helpful!